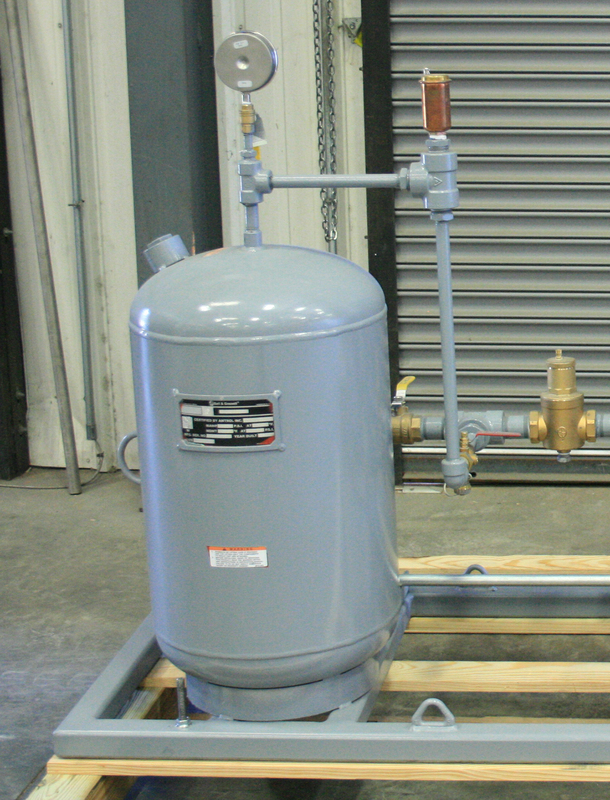 Expansion tanks, such as the envirosep E-BDT, are required in a closed loop heating or chilled water HVAC system to absorb the expansion force subsequent to the changes in temperature of the fluid and limit the pressure within a heating or cooling system. 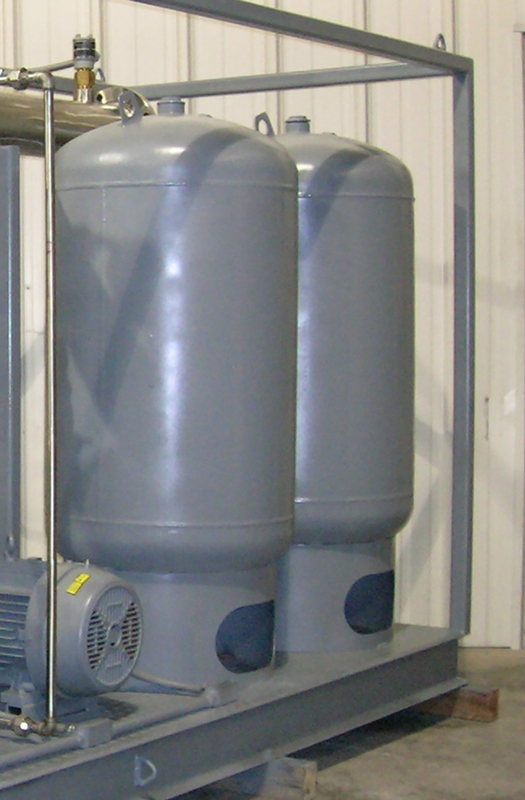 A properly sized tank will accommodate the expansion of the system fluid during the heating or cooling cycle without allowing the system to exceed critical pressure limits. The envirosep E-BDT expansion tank uses compressed air to maintain system pressures by accepting and expelling the changing volume of water as it heats and cools. Some tank designs incorporate a diaphragm or bladder to isolate the expanded water from the pressure controlling air cushion. As fluid is expanded, it is contained in the bladder to prevent tank corrosion and water-logging potentials. The pressure controlling air cushion is pre-charged at the factory and can be adjusted in the field to meet critical system requirements. It also helps prevent air bound terminal units, excessive corrosion, inefficient balancing and pump cavitation over the life of the system. This design type of expansion tank allows maximum storage and the designer or specifying engineer to reduce tank sizes up to 80%. Factory air charged to 12 p.s.i.